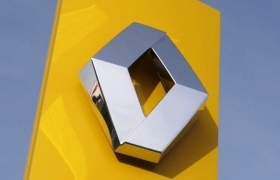 Renault aims to negotiate a final agreement with Dongfeng Motor Group this year to produce vehicles in China, a news service reported Chief Operating Officer Carlos Tavares as saying. "We hope, in 2012, we will be able to reach a final agreement ... which allows us to establish ourselves industrially in China," Xinhua news service cited Tavares as saying during a meeting of the French National Assembly's Economic Affairs Committee. In December, Renault and Dongfeng signed a memorandum of understanding to form a joint venture in the central China city of Wuhan. Dongfeng already has a successful joint venture with Renault's alliance partner, Nissan. The Japanese automaker, with sales of 835,217 units last year, is China's third best-selling brand, behind Volkswagen and Toyota. By contrast, Renault sold only 24,275 units in China last year and they were all imports. Previously, Renault-Nissan CEO Carlos Ghosn had said that Nissan would take the lead in China. To complete any deal, Renault will have to contend with regulatory red tape. In a bid to avoid excess production capacity, China's central government recently set tougher limits on foreign automotive investment. Nevertheless, Renault has taken some initial steps to expand in China. Last year, the company grew its network of dealerships in China to 80, up from 50.